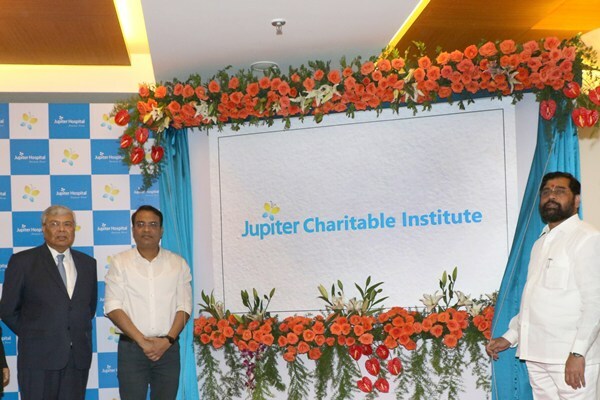 The launch of Jupiter Charitable Institute (JCI) was announced by Jupiter Hospital in a bid to provide quality subsidised healthcare for all. The inauguration was conducted by Eknath Shinde, Guardian Minister, Thane, and Sanjeev Jaiswal, Municipal Commissioner, Thane. This is a 51 bed facility with dedicated medical and surgical floors. A new JCI OPD was also announced. Every Saturday, starting 3 p.m, doctors across all specialties will be available at the Out Patient Department (OPD) of Jupiter Hospital and will only charge a fee of Rs 100/- for any type of consultation. Any investigation advised will be subsidised by 35 per cent and any procedure/ surgery advised by the doctor will be subsidised by 40 per cent. This facility will cater to any persons who cannot afford full cost quality healthcare. For this purpose, patients have to sign a self-declaration form that states that they are seeking subsidised treatment in the JCI ward as they cannot afford the treatment costs otherwise. Anyone who signs this form is eligible for benefit under this initiative. No further documentation with this regard is required.